Automaker reaches agreement to replace frames on up to 1.5 million trucks. Toyota frames can be dangerous if you leave it to the dealer and manufacturer to keep you ahead of rust! The headline from online periodical Autoweek exclaims. Everyone with a Toyota truck knows all about it and almost everyone else has heard something. What could have happened? Was it “crap” steel? Can it happen again? 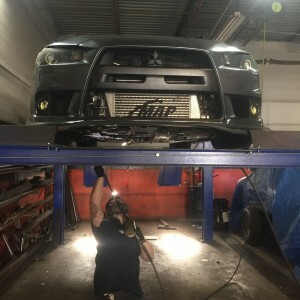 Tons of questions and the only answers they has is that they’ll cover the cost for them to inspects it and potentially have to replace your whole frame. This time. One winter and there will be so much salt and grit trapped between these steel frame layers that rust will be inevitable. ophoretic deposition bath that uses an electrical charge to attract paint onto the bare steel frame surfaces. This is typically adequate to keep them out of giant class action law suites but never enough to keep your vehicle rust free for long. The problems that develop shortly after entering a service life of driving kids to hockey and picking up the groceries is that the edges and corners, with thinner paint deposits, start to develop pinholes. This allows moisture and oxygen to interact with the steel and it will never stop rusting as long as its exposed. The critical failure starting points in these Toyota frames is where two formed frame pieces were assembled and overlapped. This fives moisture and grit a place to hide. And boy, does it love getting in there and hiding! 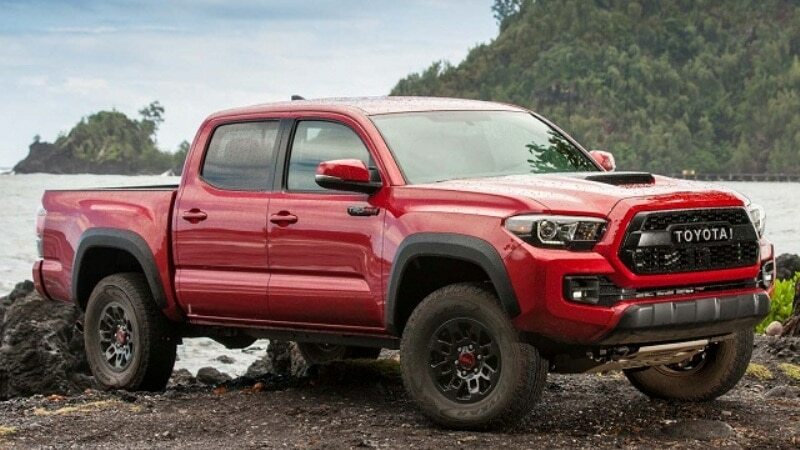 What happened Toyota’s frames is so common that we’ve seen major structural failures on almost every other brand truck on the road. The interior overlaps retain moisture so long that rust develops very quickly and gets severe quickly. A thorough tough barrier of under coating works in conjunction with factory coatings to keep your frame from rusting. So they fixed the issue, right? Sorry, not really. They’ve fixed THEIR problem but not your problem. They have found a way to make sure your vehicle will just outlast its warrant-able period. This it. Attempts to mitigate the design flaw are also seriously flawed in execution. They are attempting a probe inserted wax spray that barely covers anything. Also we have seen seem sealer used but so sparingly that it will only help very limited areas. They have not addressed the entire frame and overall problem. 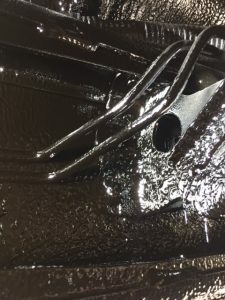 We’ve said it a million times, any vehicle that drivers 365 days a year in our environment needs to have a tough supplemental barrier applied by corrosion specialist professionals. Our coatings are applied entirely and thoroughly. We provide annual inspections and touch-ups included with the cost of application. The value is much more than the costs. You will be able to resell your vehicle for much more than anything else on the market if you can maintain its structural integrity! 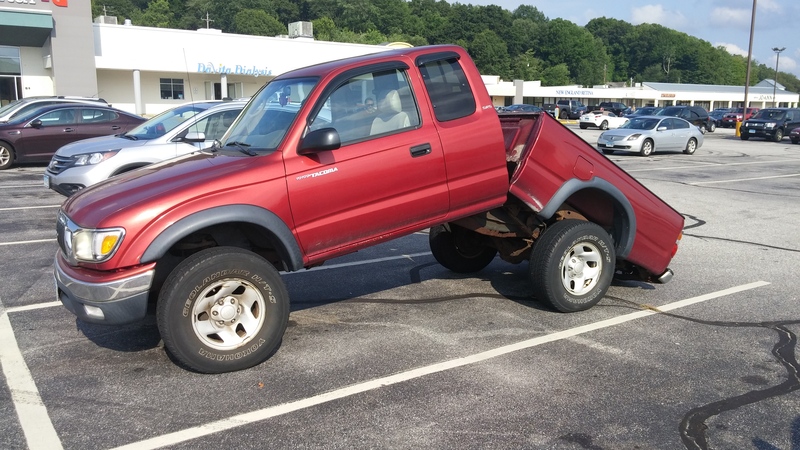 Or just drive it that much longer than anyone else who hasn’t treated their undercarriage. That’s a fact! 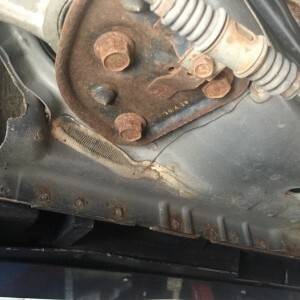 Please check out our gallery that shows the pathetic factory attempt as rust proofing compared to RRI’s total coverage. Living in Pittsburgh are conditioned to deal with a certain level of rust. 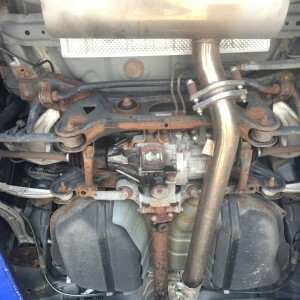 These compromises have been instilled by service technicians that are so used to seeing virtually every car on the road having corrosions that they don’t even mention it. Until it’s too late that is. Sure, they’ll tell you when your vehicle is condemned after selling you tires and brakes but that didn’t just happen over the span of one year. The factory coatings are flat out inadequate for our region. Winter and crumbling roads are so abrasive that pinholes are guaranteed to open and the salt left behind accelerates the rusting process greatly. Once the seal is broken and rust starts building it spreads faster and faster. It’s porous so it will retain moisture and the swelling effect will expose more steel. This vehicle has been on the road for five years and by all accounts is average for the region and “rust free”. So be wary when you take mechanics and sales people’s word for it. You need to talk to the EXPERTS! Dealership sell cars, mechanics fix worn out parts, and body shops repair wrecks. You simply cannot get the information, products and service you need to protect your investment from them. After a thorough analysis we are able to set a course of action to stop the rot. It’s always better to have two barriers of protection but if your find yourself with the beginnings of rust all is not lost. Often time a quick descaling process is all it take to regain a foundation solid enough to undercoat. We will take the time to make sure you get a thorough undercoating and rust proofing job! You buy new car and want it to last. You don’t want faded paint, a sun bleached dash board, and rusting out floor pans. So you clean out the clutter and keep her inside. After all, if you’re cold they’re cold right!? While some of the benefits of keeping her in the garage are undeniable I have some bad news about rust. Let’s start out with how rust works. First you need steel exposed to moisture and oxygen. When your car is brand spankin’ new you’re not exposed. Without undercoating and rustproofing it doesn’t take long for the grit that comes from deteriorating roads to find its way between panels, in your frames, and into the bottoms of your doors. This grit will rub and cut through factory hard coats and expose the steel. In winter months consider how abrasive packed snow is when its gets jammed in your wheel wells and floor pan! So, now you’re exposed. One thing to remember about chemical reactions is that everything happens faster with a little heat. When you leave a car outside overnight through the winter it’s as though it is locked in the deep freezer. Not a lot of corrosion is spreading. If you bring it in every single night, the very thing you’re doing to protect it is worsening the problem!! 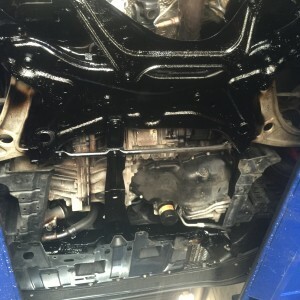 Fresh undercoating on a used vehicle goes a long way and rustproofing/undercoating a new cars adds layers of protection to an unscathed undercarriage. Give it to your car, it’s worth it! Ps. Aluminum corrodes just at much!! Is Rust Proofing REALLY Worth It? Is rust proofing worth it? Does undercoating really help? We hear these and many more questions just like them. Emphatically, YES! It works, is worth it and has great merit on virtually every car currently being sold and still on the road today. 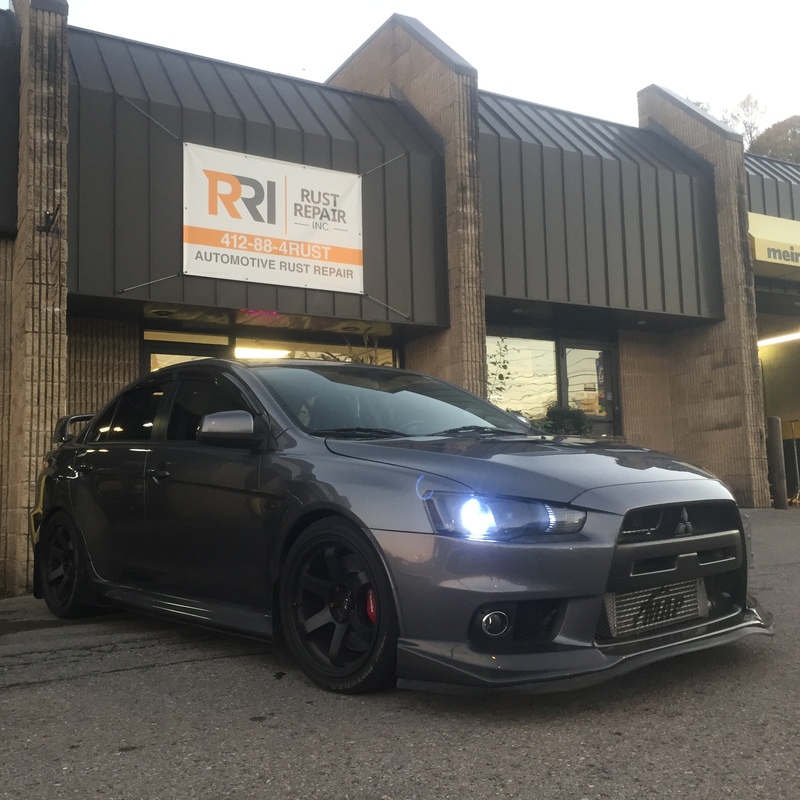 We have done huge amounts of research, testing and verification on clients’ cars. Our conclusion is that if you own and operate a vehicle in rust prone regions you gotta be nuts to limit your corrosion prevention to factory coatings. The metals we use for vehicles today do not exist naturally. They are all too unstable. Steel will rust and aluminum will corrode. They will however last indefinitely if kept in an environment free of moisture or if they are completely coated. Almost every factory coating is a hard coat which doesn’t stand a chance against the grit continually coming off our roads. Its sand paper only without the paper! Fine grit gets between panels and wiggles and cuts as you drive along. Winter brings snow and slush that punishes your undercarriage much like glacial erosion. As soon as a microscopic hole is opened then corrosion will expand underneath. The factory coatings go from being a great barrier to a perfect trap. There is only one way to break this process. There is only one way to beat sand paper, get it clogged and gummed up! 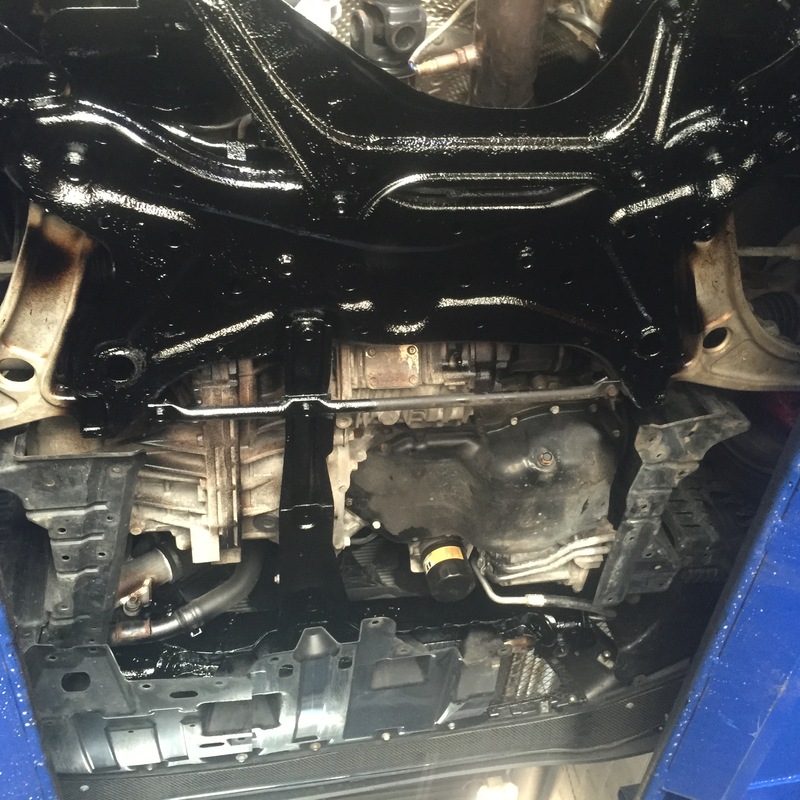 Undercoating and rust proofing sprayed on your vehicle provide what the factory does not. A supple barrier that will embed the grit and stop it in its tracks. When you bring us a brand new vehicle our coatings working in conjunction with factory coatings to make your car a fortress against rust and corrosion! We can also descale and apply coatings when rust has already set in. Prolonging the life of your expensive cars. It works very well but I want to make sure we’re very clear about one thing. Rust proofing does not last permanently. 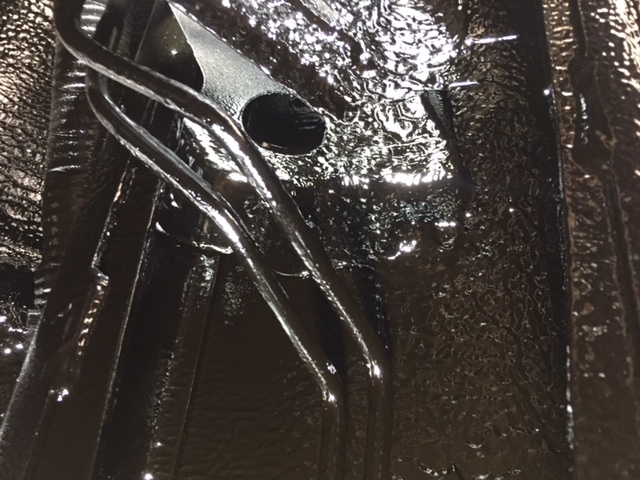 Our coating are oil based and will lose suppleness eventually. If the coating is scraped it will no longer protect. Without periodic inspections and maintenance you will eventually have failure points. 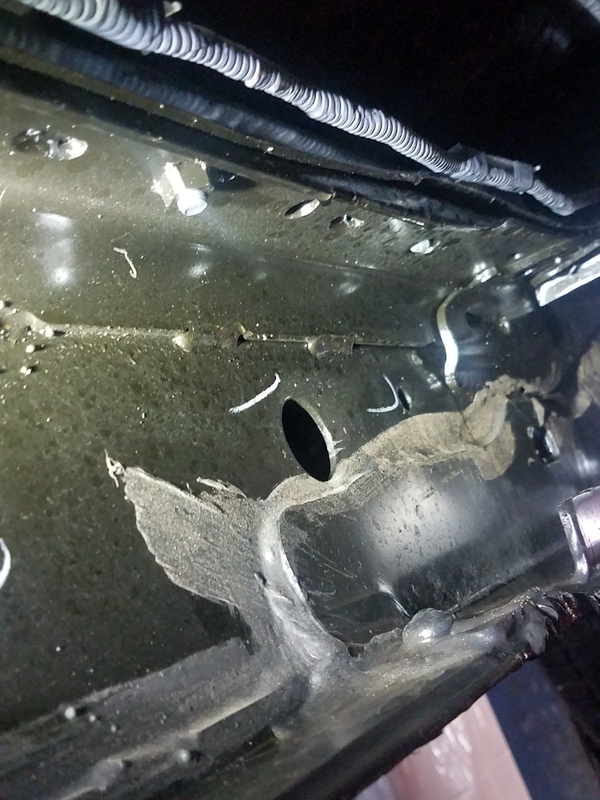 This is why we offer zero charge maintenance inspections and touch ups for 7 years after application. Undercoating and rust proofing is only as good as the person applying it. We are locally owned shop that treats our employees and customers like family. Come to Rust Repair Inc. and join the team in the fight against corrosion! A Quick Conversation About Rust, Your Car and Becoming the Market Experts. I’ll try not to digress into and all out chemistry lesson or myth’s page but there is a lot to bring you up to speed with. So let’s first acknowledge that our cars are made of metal that doesn’t exist naturally in its pure form. Aluminum and steel are only found as ores that need refined before being usable. The argument of new steel being junk vs. old steel being junk is pretty much moot. Modern alloys have greatly increased strength and modern design has enabled thinner gauge material to be used. 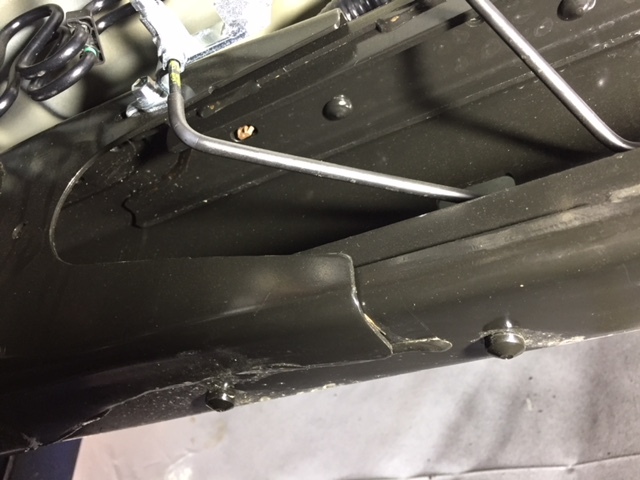 We have also seen a marked improvement of OEM coatings and sealing techniques. So what this means to you is rust will take longer to start but go through your car quicker than ever once it begins. Good news for warranty claims and car sales. Bad news for you. Rust is still an enormous issue. We’ve seen major industry corporations virtually disappear while blaming new car warranties and the economy in general. That’s just not true. It often times takes multiple deaths and class action law suits to get OEM’s to recall simple design flaws. Most will just do the bare minimum to get your vehicle to last past the warrantee date. Blaming the economy is a poor excuse as well. Keeping a paid off car on the road longer is always cheaper than buying a new on. We’ve even seen some of our competitors lying to their customers and getting in major legal trouble. The industry had been given a black eye. Most people aren’t even aware of a looming rust issue until it’s too late and their car has a major structural problem. We’ve stepped up to the plate to help educate and truly help prevent rust from claiming your vehicle. We’ve adopted innovative technologies to give us in depth views of your car to set a base line. Our dedication to honest service is unmatched and our knowledge of the products we use and how to maintain them long term sets us apart from the rest! Copyright © 2015 | Rust Repair | Like Us On Facebook! Website Design by Trib Total Media and Powered by Digital HI Technology.